Challenge #13 - Oh Baby! Having one main image with only a sentiment will keep your card CAS. A limited colour scheme keep things clean! Sweet baby images colored with my Copic markers make for a simple layered baby card. Inspired by the rattle cookie, I created a shabby chic card with an interactive rattle filled with sequins to welcome a bouncing baby girl! By using 2 circle punches you get this really cute Pram. 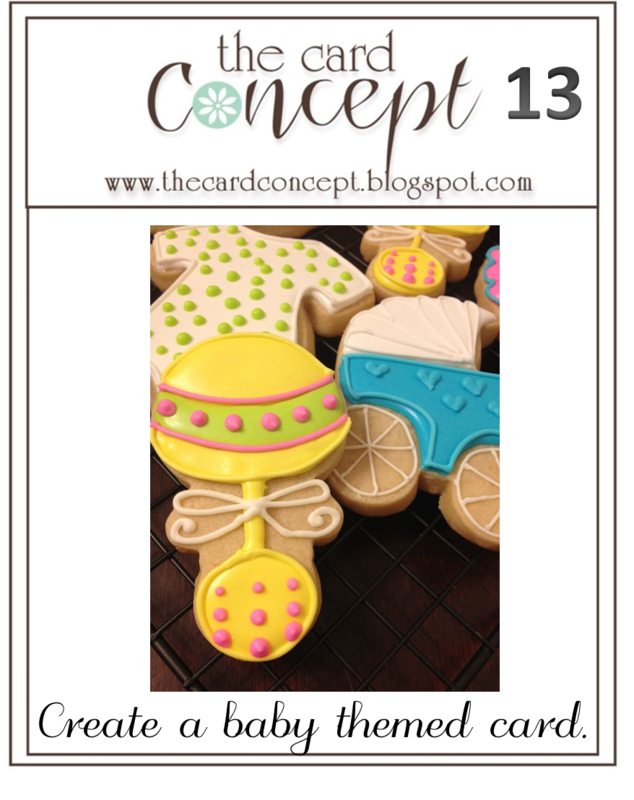 I was inspired by the shaped buggy cookie, so fussy cut my traditional image and added lots of layers and pearls. This challenge will end on Monday, July 7 at Noon (PST). Challenge #12 - Use a Nautical Theme Winners! 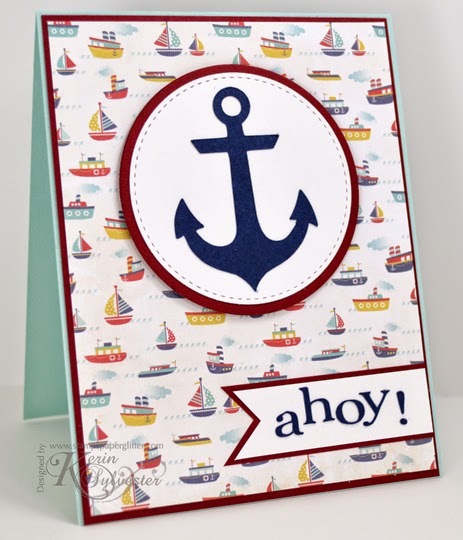 Hello Tracey here with the winner's for The Card Concept challenge #12 - Use a Nautical Theme! 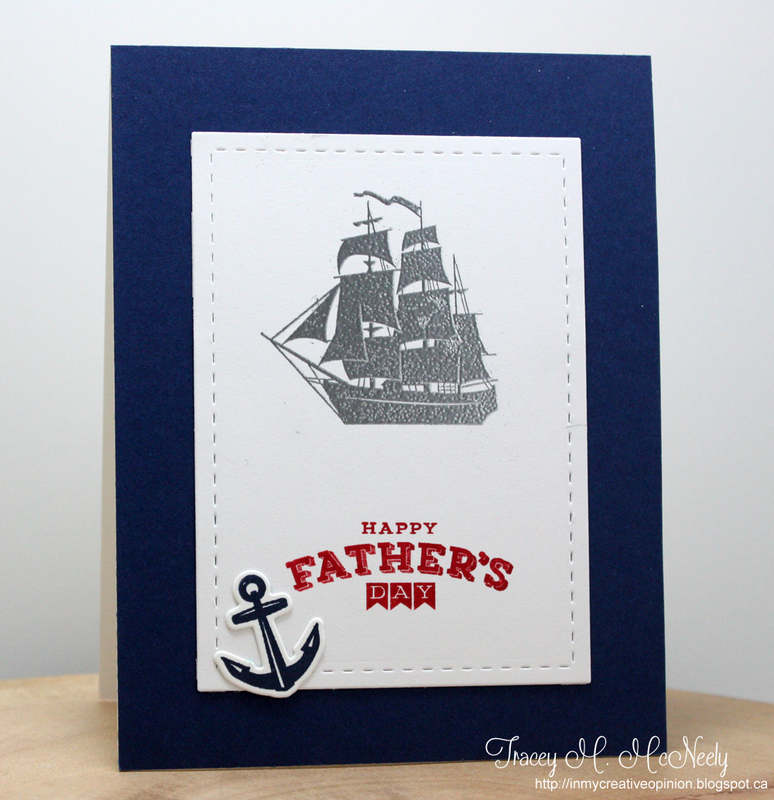 We loved seeing all of your creative nautical designs. We have each chosen a winner who we liked the best but not necessarily in our own design style, and who followed the rules and challenge. Challenge #13 goes live in one hour at 5:00 AM (PST). 1. 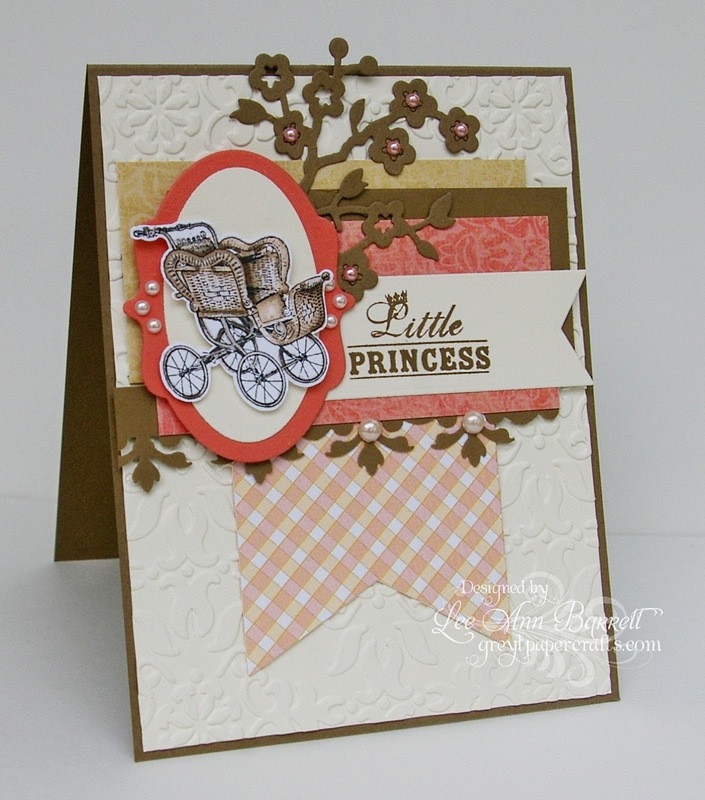 Narelle's Choice: There are so many gorgeous details that make Amy's card totally fabulous! Love it! 3. Colleen's pick: Renata's sea life card tickled me aqua! The fancy porthole is such a great touch. 4. Kerin's choice: Jean's clean, crisp design and fabulous texture really caught my eye! 5. Cathy's Choice: I loved the watercoloring and hand made life preserver by Maria F. Cute! 6. 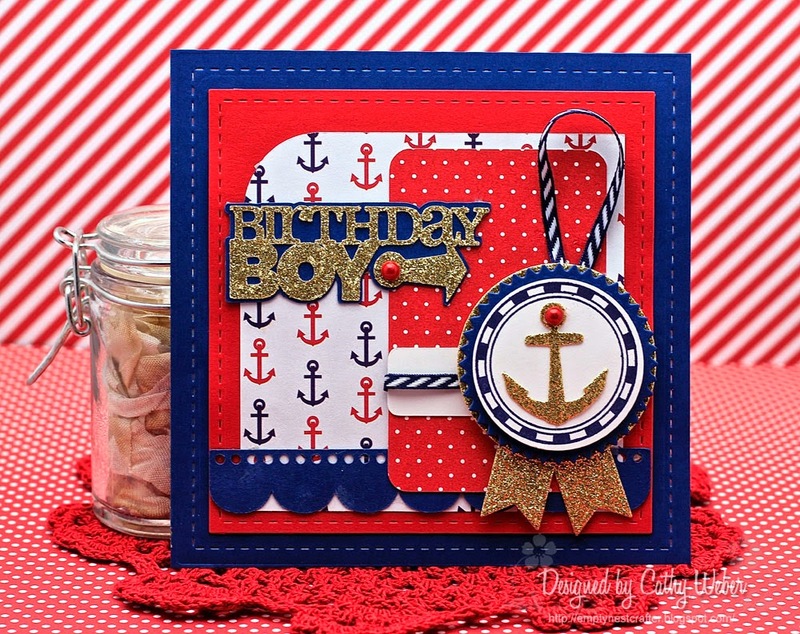 Tracey's choice: Carol's shaped card with the stitched dies and chained anchor is a fabulous design! 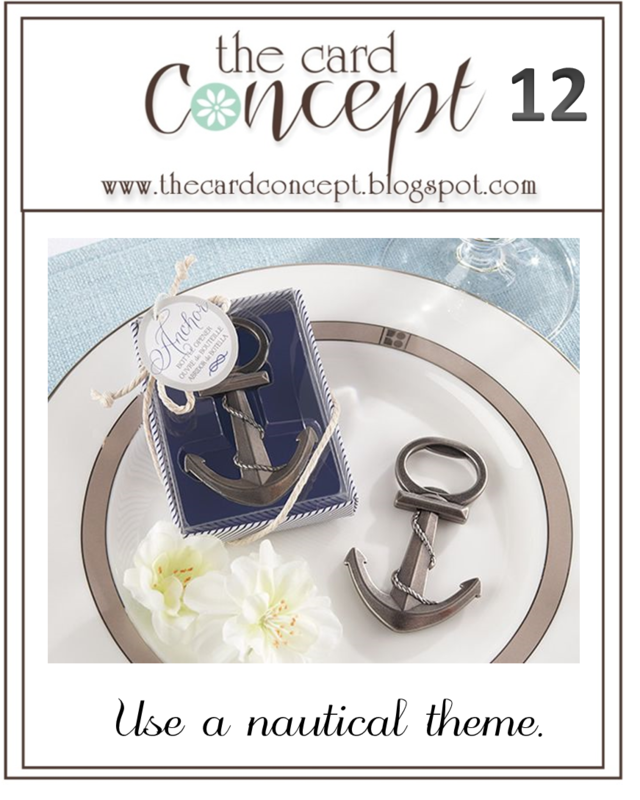 Challenge #12 ~ Use a Nautical Theme ~ There's Still Time! 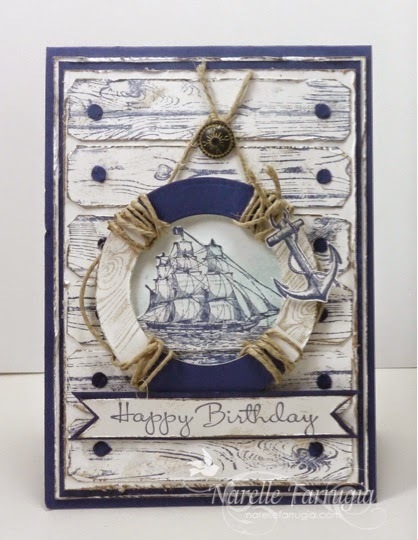 There is still plenty of time for you to play along with our current challenge - to create a card using the nautical theme. This challenge will end Monday, June 23rd at noon (PST). There are already lots of fabulous entries in the gallery, check them out if you'd like a little inspiration to get you started! 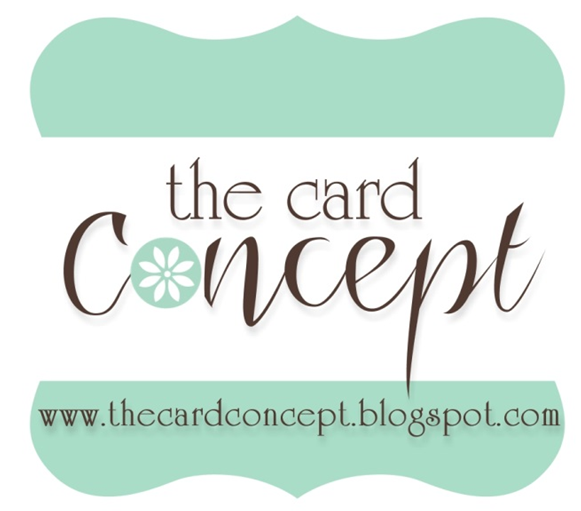 Welcome to The Card Concept. This week we are excited to welcome Colleen Dietrich to our design team! Welcome, Colleen!!! Karen Davis has decided to step down to focus on work. Thank you Karen for your gorgeous creations and teamwork! You will be missed! The anchors in the photo really caught my eye, so I used them as my inspiration. I love a nautical themed challenge so I've gone to town on every nautical element I could find! 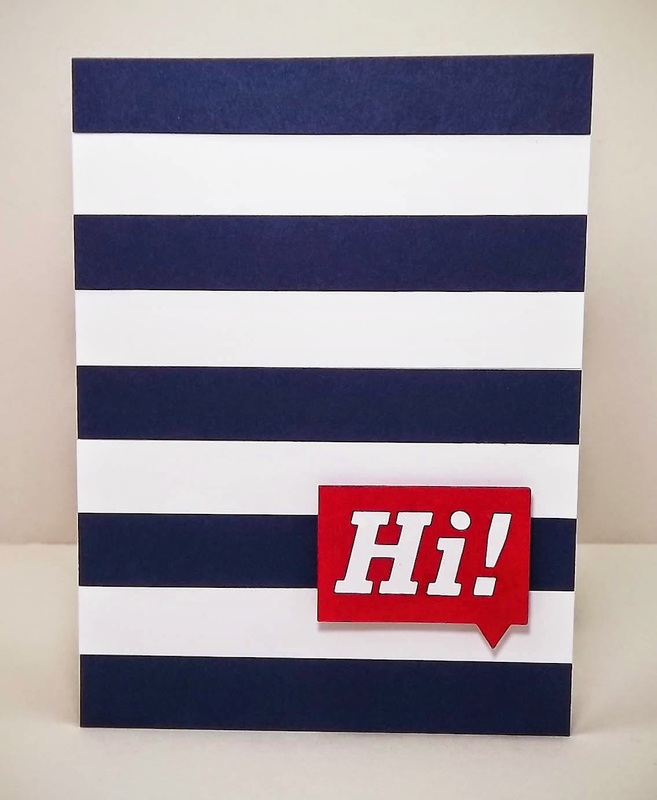 I was in die-cut heaven while making this card! The cool, soothing neutrals in the photo really inspired me! This challenge will end on Monday, June 23 at Noon (PST). Hello Tracey here with the winner's for The Card Concept challenge #11! 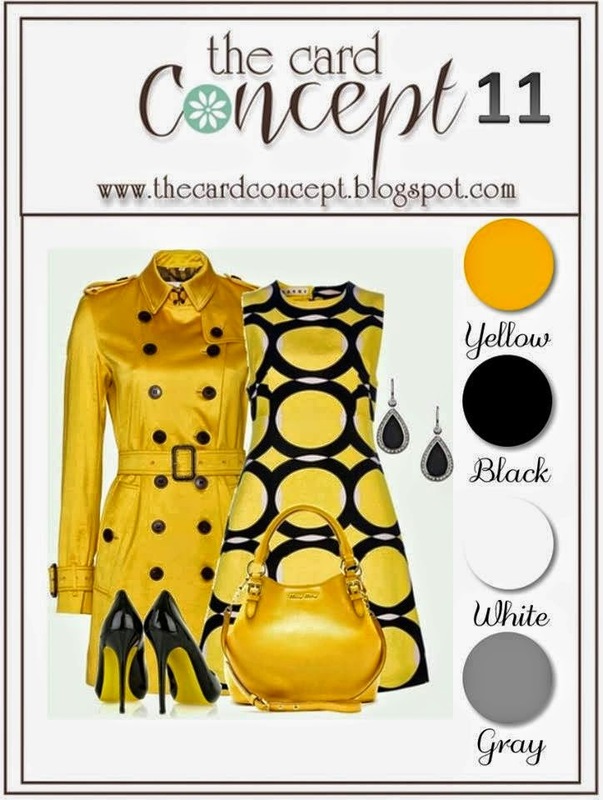 We loved seeing all of your beautiful summer yellow and black creations this challenge. We have each chosen a winner who we liked the best but not necessarily in our own design style, and who followed the rules and challenge. Challenge #12 goes live in one hour at 5:00 AM (PST). 1. Ardyth's Choice - Judy's bubbles evoke laughter even before you read the sentiment! 2. Kay's Choice- Lee Anne's CAS bee card is absolutely adorable!!! 3. Deanna's Choice: Such a simply design but still so stunning. Congrats Diane. 4. 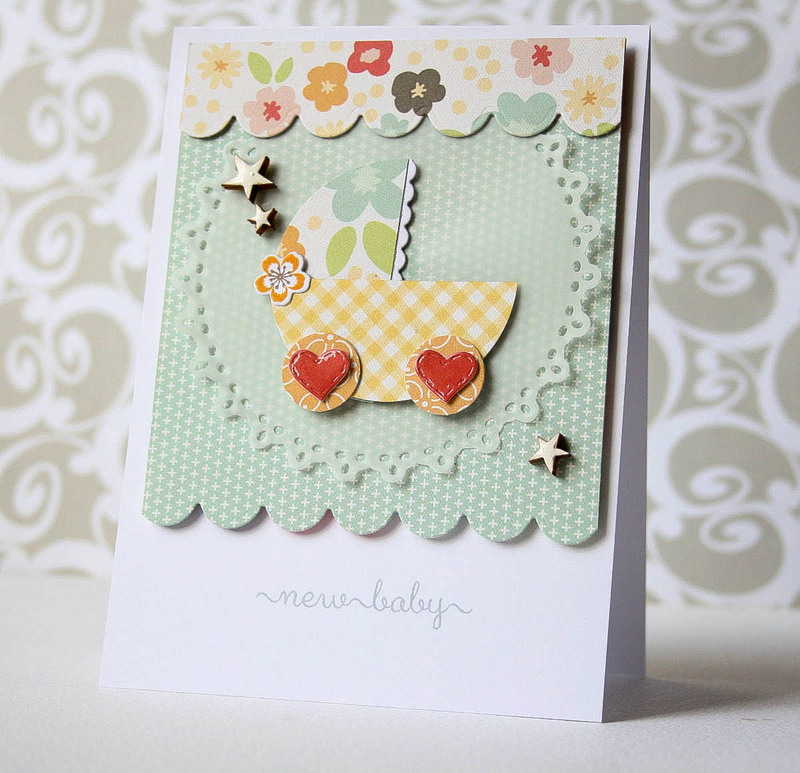 Debbie's choice: Michelle's card couldn't be any sweeter - love the die cut chick, wagon & flowers!! 5. 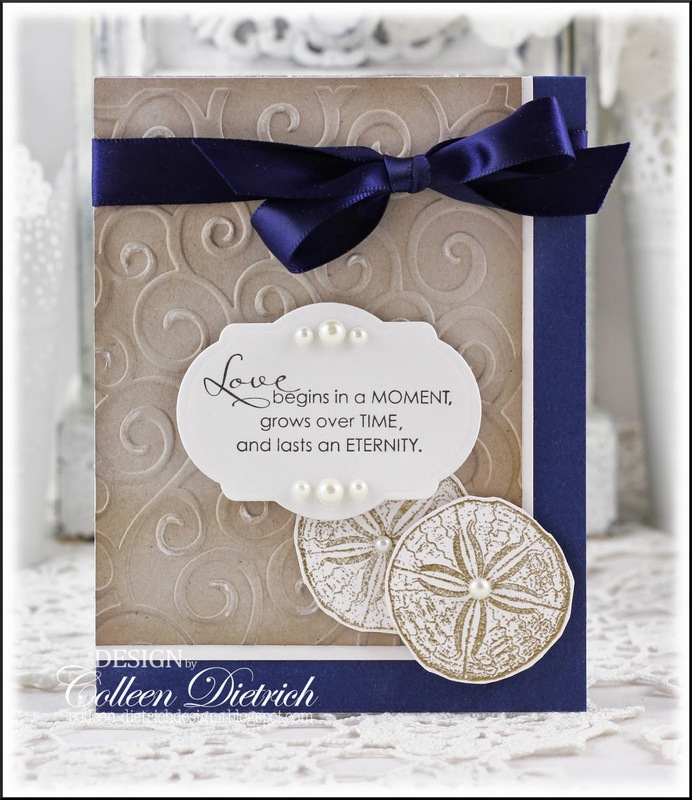 Cindy's Choice:I just love the inlay die cutting on Carol's beautiful card! Such a pretty butterfly! 6. Lee Ann's Choice: Bobby picked the perfect patterned paper and accented it with her yellow flowers. Challenge #11 ~ Color Challenge ~ There's Still Time! 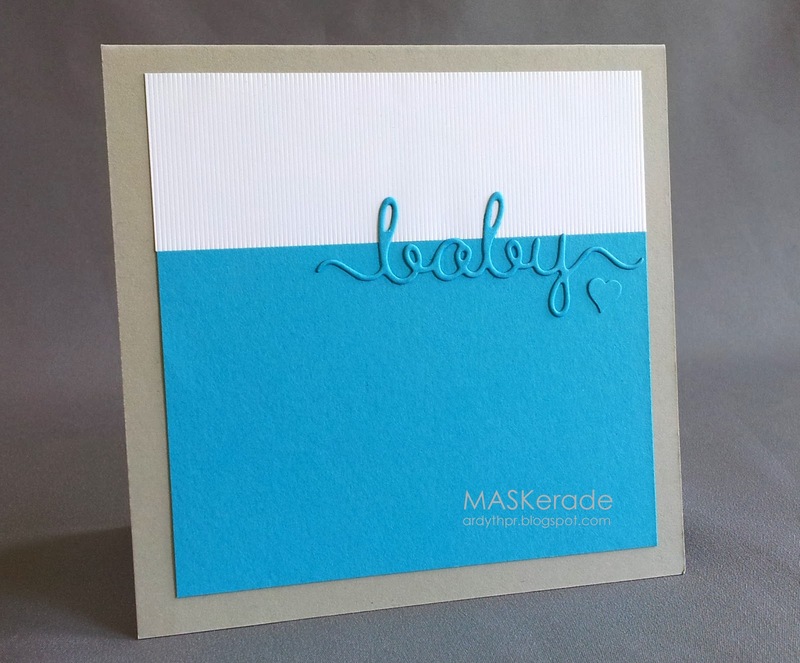 There is still plenty of time for you to play along with our current challenge - to create a card using the color theme. This challenge will end Monday, June 9th at noon (PST). If you're looking for some inspiration to get you started, check out the entries in the gallery so far, there is some amazing talent going on there!